Update, September 2010 - The US Army Ordnance museum and its collection of armored vehicles have begun the move to Fort Lee, Virginia. The indoor museum is now closed and the website is down. I understand visitors can still get a pass at the gate to enter and view the tanks, artillery, and other vehicles that are on display outside, but those exhibits are being moved one by one down to the new location. Already there are fewer vehicles on the field than you will find in these pages. 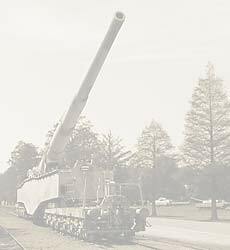 This US Army web page on the move of the Ordnance Museum gives more details of the move schedule, but does not mention the museum being closed. You can visit the US Army Ordnance Museum at the Aberdeen Proving Ground military base in Aberdeen, MD just a short drive off of I-95. For directions see the Museum's website here. The US Army Ordnance Museum hopes to eventually get all of the exhibits indoors once several large planned hangars are constructed. Current stumbling blocks to this plan are funds and that some government bureaucrats would like to see the museum moved. More and more of the armored vehicles are being moved indoors, which unfortunately means they are not longer accessible to the public. A number of vehicles that were there a few years ago are missing along with the Tiger I and King Tiger. The M48 Patton Tank was being removed from the grounds on the morning I had arrived. I watched as the tank transporter cut one concrete pad a little close and blew out several tires during the effort to move the M48 Patton tank. A Porsche Ferdinand tank destroyer had just been removed also and was at a railway loading platform a short distance from the museum. 60 years of outdoor living have taken a toll on the outdoor exhibits and many are in poor condition and badly rusting. In spite of that it was still a thrill to see many of these rare tanks and other armored vehicles up close and to be able to touch them. For me to see an actual German WWII Panzer Mk V Panther up close was amazing, but to see two Panther Tanks side by side was fantastic. The German Jagdtiger tank destroyer is enormous, and looking at the welds at the front of the hull you can see just how thick and massive its front glacis plate makes you understand how no US or British tank cannon could penetrate it. You will need a valid driver's licence or passport to get a pass to go onto the base grounds as the US Army Ordnance Museum is on the US Army Aberdeen Proving Ground military base. If you are driving you will also need your registration and insurance card for the vehicle you are driving in. As you leave the gate to get to the museum, keep your eyes on the right. There is a lineup of restored and rare armored vehicles from various armies and periods. In the period shortly after 9/11 visitors were not permitted to pull over and view this row of tanks but fortunately Aberdeen Proving Ground has relaxed the rules so it 's permitted again. The Stuart Light tank, Panzer Mk IV, Sherman Tank, and M10 Tank destroyer are restored to a high cosmetic standard. The interior of the museum was all one floor and handicap accessible. The ourdoor exhibits are on grass and while fairly level you'll need to do some walking to really see everything. There are fast food vendors on the base just a short distance from the US Army Ordnance Museum so lunch is easy. Pay them a visit if you're in the area. Or even if you're not. The staff are friendly and the museum could well use any donations you contribute. It's an amazing display of the armored vehicles our fathers and grandfathers fought both with and against. The US Army Ordnance Museum also has a USAODS Pintrest Website. The site includes history of the US Army Ordnance Corps, with sections on Maintenance, EOD, and Ammunition. 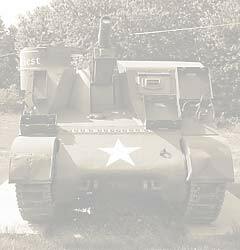 The Ordnance Corps History page includes more information on the move of the museum and the transport and restoration of the museum's tanks and armored vehicles. There is also a very interesting section on women working on production of ammunition, tanks, and shipbuilding during WWII.